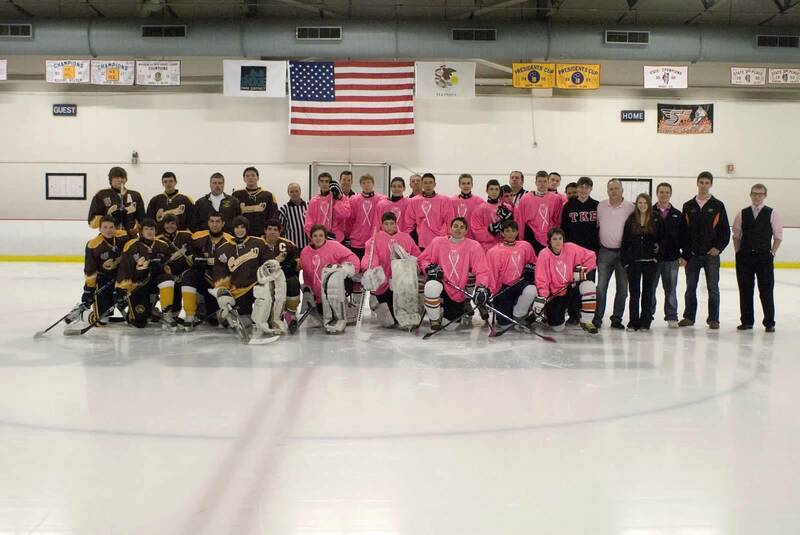 This past March 31st, 2012 the Skokie Flyers Midget program hosted their 6th annual Breast Cancer Awareness charity hockey game. The event has seen improvement each and every year. Unlike past springs, two separate games took place this year. Also different from years past, this years games were no contact. Although no hockey player likes to play no contact, all of the players involved in this years events enjoyed themselves very much. 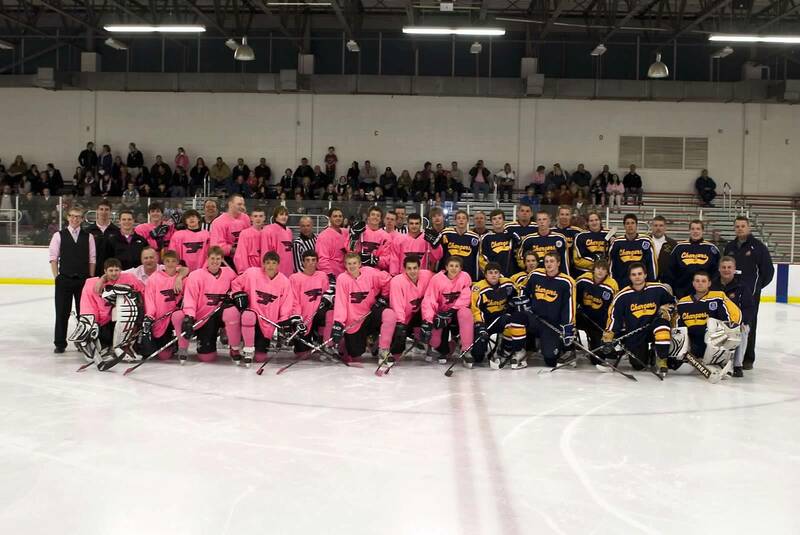 Neither teams in both games were concerned with the outcome, they were participating to have fun playing the game they love and support a good cause at the same time. 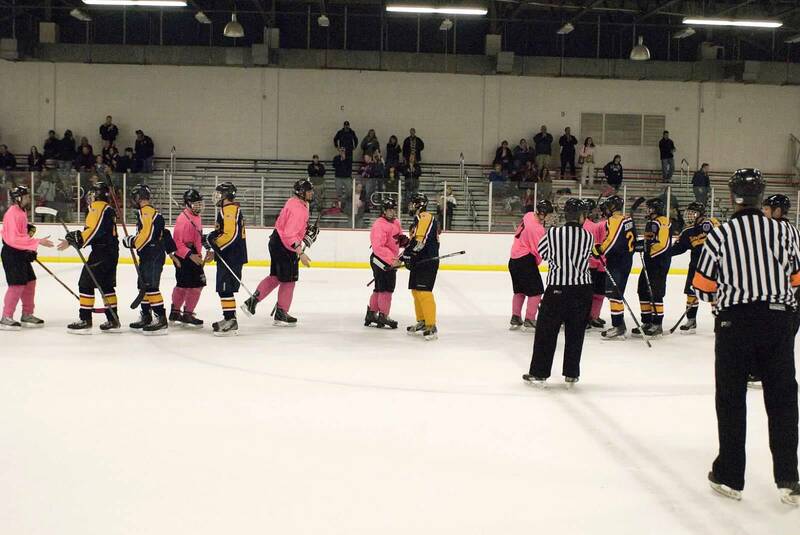 To help make announcements during each game, AmpliVox did the Flyers a favor and donated a Pink Podium for the event. To go along with the Pink Podium at AmpliVox we also have a Blue Podium for Prostate Cancer Awareness. In the first game the midget minor (U16) Skokie Flyers played against the Carmel Catholic High School JV team. "Our 6th Annual Breast Cancer Avon Walk Event was very impressive this year, with the passing of Lori Tednes, my sister in law 4 days before the event it was a very emotional evening but a great success." Tompkins also said this year, the games this year raised over $5,000 for Avon Walk for Breast Cancer was raised. That money will then be donated to the Jonathan Tednes Avon Walk account where he will be walking this year in memory of his mother Lori. Coach Tompkins and the Skokie Flyers organization plan to continue this event in memory of Lori Tednes along with all of the other women and survivors. 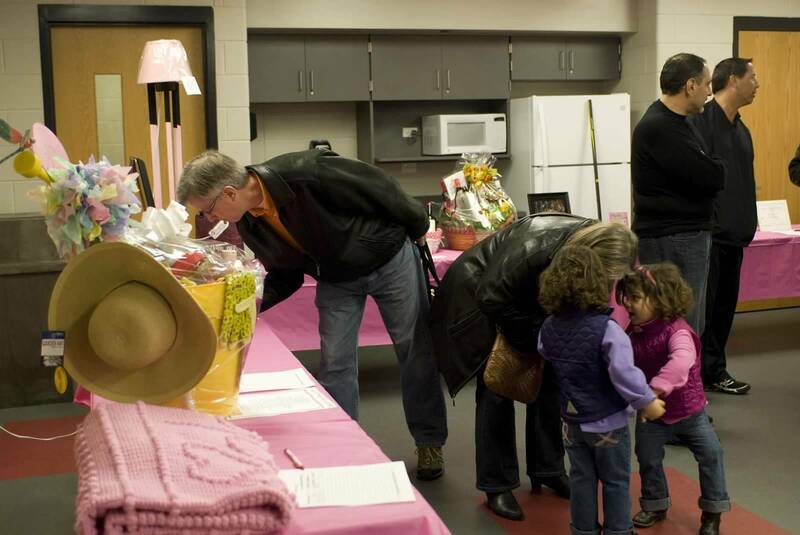 Along with the five dollar donation to get into both games, there were items that were being auctioned away in a silent auction as well. 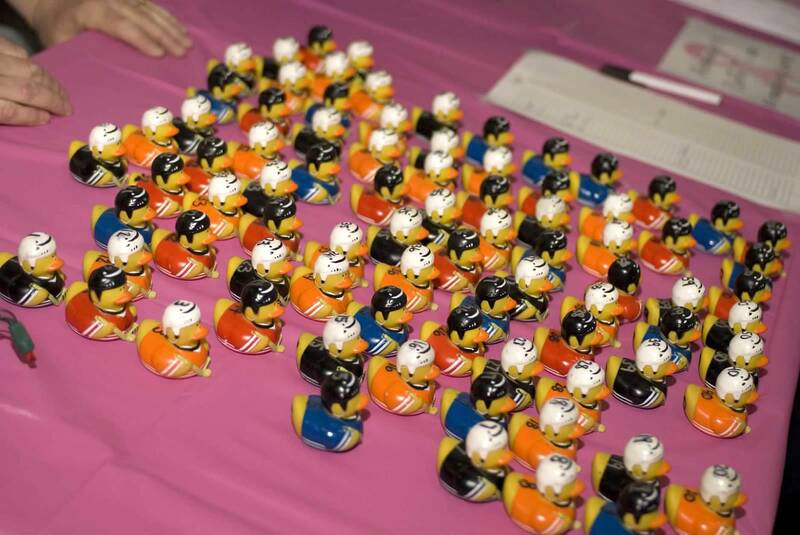 Some of the more profound items that were available to be purchased in the silent auction were jerseys from both National Hockey League teams the Ottawa Senators and Columbus Blue Jackets. As a player who has played in this event the past three springs, I have noticed an improvement every year. It seems we raise more money year after year. The number of people that come out and support the event gets bigger by the year and it makes the game even more enjoyable and special than it already is. Seeing that this would be my last time playing in this event, I hope that I can take part in events as awesome as this in the future. 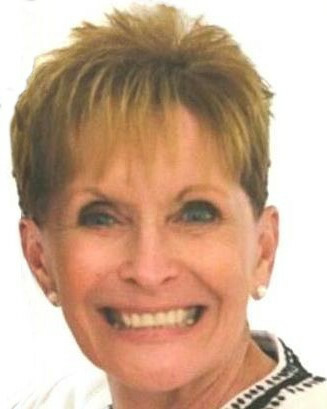 For more information on the Pink Podium Program, please visit The Pink Podium Promise webpage. Like the Pink Podium on Facebook!